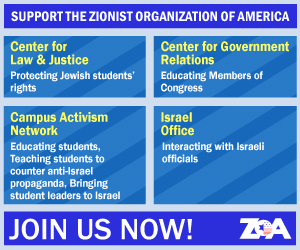 Especially after the Pittsburgh synagogue massacre of 11 Jewish worshippers, universities must refuse to employ professors who call for anti-Semitic violence and destruction of the Jewish State of Israel. 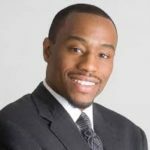 It is outrageous that Marc Lamont Hill is still employed as the Steven Charles professor at Temple University, after Hill showed himself to be an Israel-hating anti-Semite by maliciously and ignorantly calling for Israel’s destruction and genocidal violence and destruction of the Jewish state during Hill’s November 28 rant at the United Nations. However, shockingly, Temple University failed to express any concern regarding Hill’s violence-inciting speech, or about the harmful impact Hill’s statements will have on Temple University’s and Steve Charles reputation and Temple students. Instead Temple defended Hills’ supposed constitutional “right . . . as a private citizen” to make these hateful statements. But Hill’s statements were not private; they were made in a major public forum. As the voice of the university, professors have a duty to speak responsibly when they speak publicly. Temple University’s current Board must show leadership by immediately condemning Hill and demanding his dismissal, or at a minimum removing him from holding the Steven Charles Chair. Among other things, Hill declared that “we must offer more than just words,” and that instead Palestinian-Arabs must be allowed to engage in “revolts,” “resistance” (euphemism for Palestinian-Arab terrorism and murder) and “tactics otherwise divergent from Dr. King and Mahatma Gandhi” (obviously meaning violent tactics). Hill also called Israel’s reestablishment seventy years ago the “Nakba – the great catastrophe” and “tragic”; and advocated for Israel’s total elimination and replacement with a Palestinian-Arab (terror) state, by invoking the infamous genocidal chant screamed during Jew-hating anti-Israel demonstrations. Free Palestine from the river to the sea” which means destroy all of Israel. Hill’s speech was filled with other propaganda falsehoods against Israel. Temple’s leaders must take this moral and honorable stance against hatred and anti-Semitism. Doing anything less will only add to the shame and harm that Marc Lamont Hill has already brought upon Temple University and to Steven Charles. Bart Blatstein is president and Chief Executive Officer of Tower Investments, Inc. This article was published by the Philadelphia Inquirer and may be found here.